Find out more about the people you will meet at our events. Quests and Retreats was the brainchild of Wide Open’s Jan Hogarth and Tom Littlewood who have a passion for culture, the arts, health and landscape. Quests and Retreats celebrates the deep cultural connections of the landscape in South Scotland and aims to create a sustainable cultural tourism project which helps support cultural thinkers, artists, healers, poets and musicians as they share with you their passion and deep connection with the landscape that inspires them. Jan is a practicing environmental artist with a passion for the land. She was born and brought up in rural Dumfries & Galloway and worked as a lecturer in colleges and universities in the north of England and Scotland while studying for a PhD in Environmental Art. Jan’s artistic practice and work as a creative producer explores the connections between art, landscape and healing (people and environment). She is an experienced and well-respected creative producer commissioning projects including Andy Goldsworthy’s Striding Arches and Dalziel and Scullion’s Rosnes Bench and instrumental in the development of Environmental Art Festival Scotland and the environmental art organisation, Wide Open. Tom is business adviser to Quests and Retreats. Tom founded Ginkgo Projects in 2001 and Wide Open in 2010 after having led the arts charity Independent Public Arts. He has wide and grounded experience in generating and leading creative projects that integrate art and creativity as a key element of environmental, architectural and regenerative schemes. Tom has an interest in celebrating place through landscape and innovative growing projects and has been closely involved in the development of the arts in South Scotland for over 20 years. Dougie Strang is an artist and performer whose work focuses on our relationship with the ‘more than human’ world. 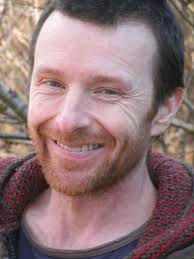 He has a background in the study of Folklore and Traditional Cosmology, with an MA in Scottish Ethnology from Edinburgh University. He has a particular interest in the physical and cultural ecology of wild places. 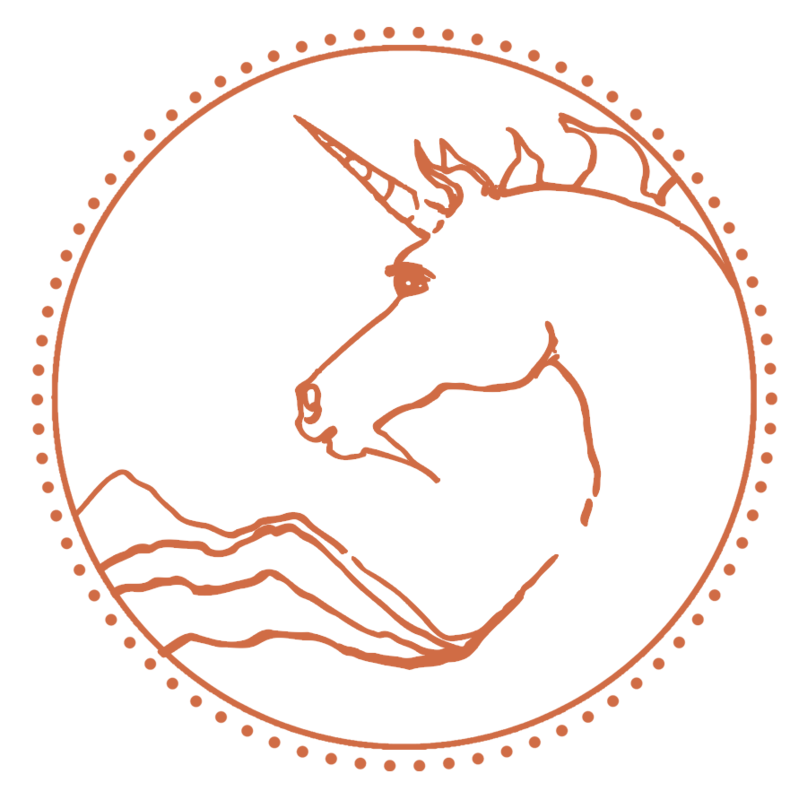 Dougie is a core member of the Dark Mountain Project and curates Carrying the Fire, an annual Dark Mountain festival. He lives by the River Ae in Annandale with his wife, the poet Em Strang, and their two children. 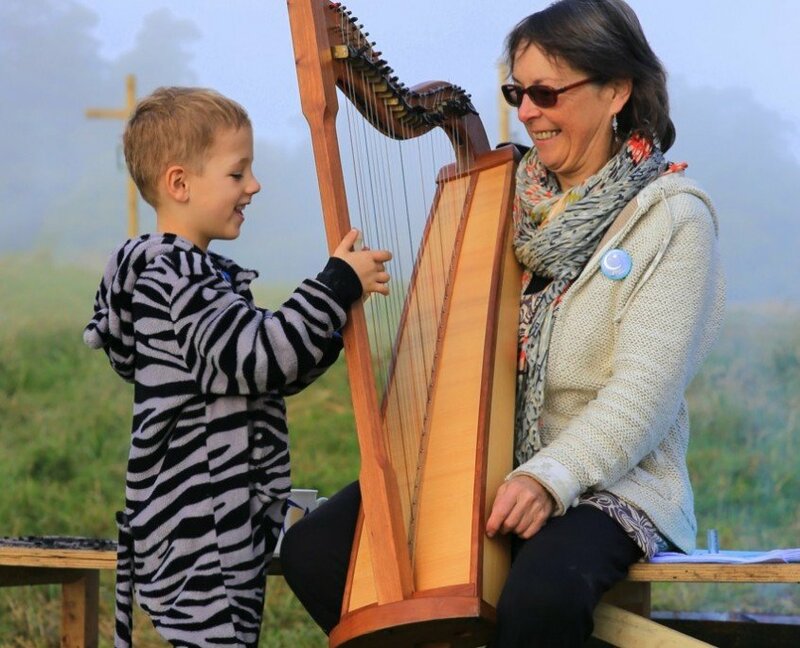 Wendy Stewart is a leading Scottish harper, a world class performer and inspirational teacher whose style and repertoire encompasses both traditional music and her own compositions. She has played harp for over 50 years and, with a degree in Zoology, has an interest in blurring the perceived divisions between science and art. Wendy lives in beautiful Glencairn and draws musical inspiration from the landscape and culture that surrounds her. Music, song, rhythm and dance are in all of us to some level and, through her own music, Wendy is interested in fanning that small creative spark to life. Alec Finlay is an internationally-acclaimed artist whose work crosses over a range of media and forms, from poetry, sculpture and collage, to audio‐visual and new technology. Born in Scotland in 1966, much of Finlay’s work considers how we as a culture, or cultures, relate to landscape. Through permanent & temporary interventions, mapping and journey works, Finlay weaves together generous experiential works, often collaborative, sometimes mapped directly onto the landscape. Using place-name translations and mapping techniques, Finlay invites people to share experiences and perceptions of places. A geographer with a special interest in landscape studies, David Munro was a research fellow at the University of Edinburgh before being appointed Director of the Royal Scottish Geographical Society, a post he held for 12 years. Compiler of the Oxford Dictionary of the World (OUP 1995) and co-author of Scotland: an encyclopedia of places and landscape (Collins 2006), he is currently Historical Geographer in Residence at Drumlanrig Castle where he draws on estate plans, paintings and literature to write about local heritage and landscape. Also to the very talented Tonia Lu who designed this website with sensitivity and empathy for its ethos and aesthetic. We would like to thank Dumfries and Galloway Council and DGUnlimited for some grant support for development work.